The tour continued with more workshops, food and our first performance. SWE and Band 10 had an excellent workshop with Tubist and conductor Alain Caszes while other students had some more time to explore the underground city. During our lunch break, a small group of us trekked across downtown to the iconic Schwartz’s Deli for the classic Montreal smoked meat sandwiches, pickles and cherry Cokes. After lunch, we performed for residents of Ambiance Ile Des Soeurs Senior Residence. The kids did an exceptional job and the residents were very touched by the kids’ show. 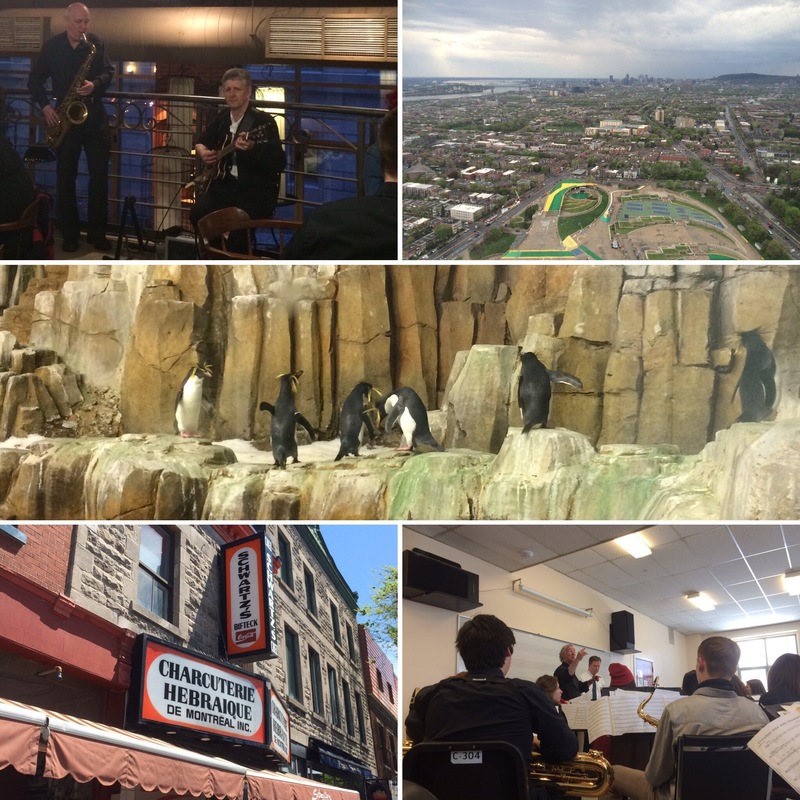 We headded off to the Montreal BioDome (where the Penguins were a particular hit) and the Olympic Park for a spectacular view of the city.Dinner was at Le Piment 2 where we were entertained by a guitar and tenor sax jazz duo. We were very proud of the kids today as they represented themselves, the music department and the school very well. Sunday is an early morning so hopefully they will grab a few more hours of sleep! Today was jam-packed! 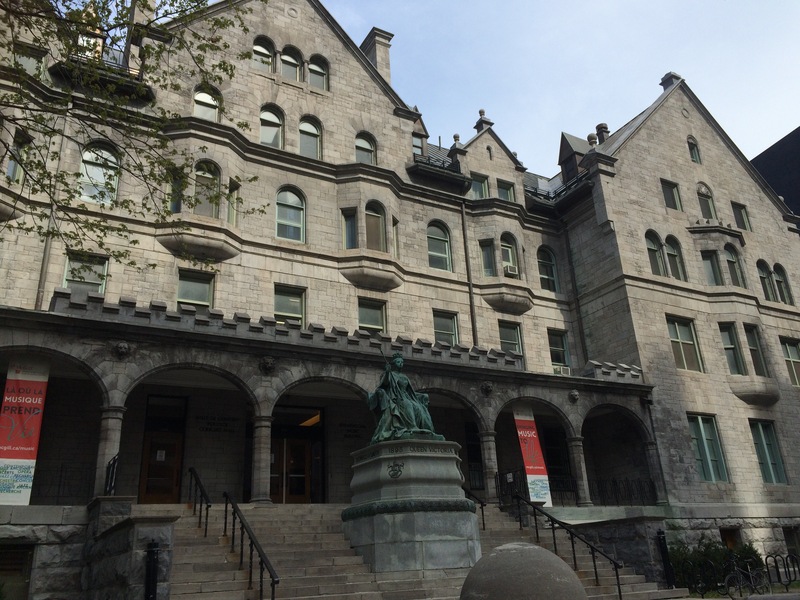 After breakfast at the hotel, we headed into McGill for our workshops. SCC and Vox shared their time with Dr. Jean-Sebastien Vallee. He did some amazing work with the kids, a particular treat being their second run of Woodsmoke and Oranges. After lunch, Senior Jazz worked with Joe Sullivan. We focused on groove, which resulted in some great video of some of the trumpet section’s fancy footwork. We had a great tour of the city given by our guide Oscar. This included the Place des Armes, the Notre-Dame Basicilica, and the underground city – 23 square kilometres of retail and office space networking underneath Montreal. After a delicious dinner at Essence we headed off to Cirque Du Solei’s Luzia. It had amazing music (ask you kids about the Tuba and Xylophone tune), some amazing spectacles (ask about the giant falling water fish) and, well, just ask about the contortionist. It was a great first full day in Montreal. 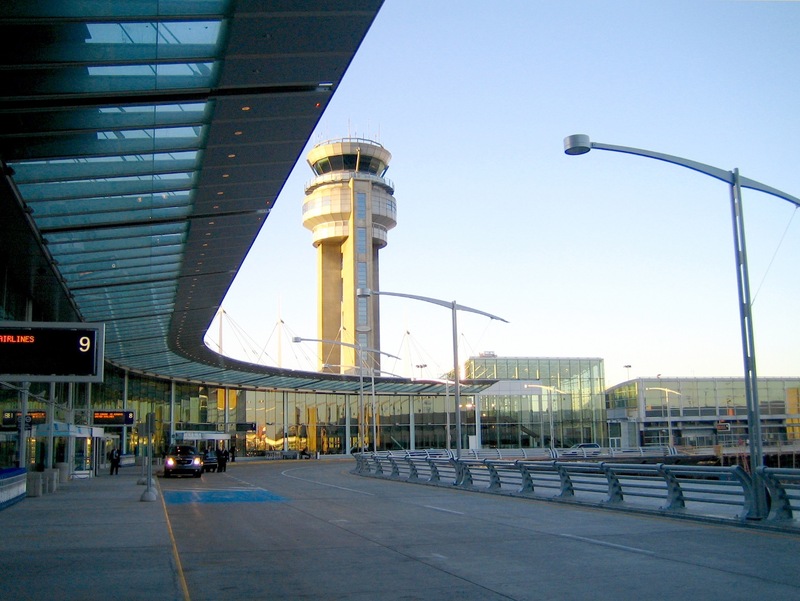 After nearly meeting at DW Poppy, we headed off to YVR. A quick breakfast after our trip through security and we were on our way to Pierre Elliot Trudeau International Airport. The kids did really well on the flight, which was uneventful. Dinner at the hotel followed by some shopping, some time in the pool and we’re heading off to bed. Follow on Twitter, FB or Instagram @dwpoppymusic for updates throughout tomorrow’s adventures at McGill, on our walking tour and our visit to Cirque!